October was a fantastic reading month but sadly it wasn't quite that way with November; however I did manage to read ten books along with a couple of audiobooks including two classics: Jane Eyre and Villette both by Charlotte Bronte. My 'big book' for the month was Shadow Of Night at almost 600 pages as well as The Silkworm at over 570 pages. I was very kindly sent this beautifully designed non-fiction read by the wonderful people over at Thames and Hudson (thank you). I've been dipping in and out of this book for a couple of months as for me it isn't the kind of book to binge read but I still enjoyed it! It explores so many points from the reformation, the invention of the printing press, the role of religion in art and artists lives to the relationship between books and art, the effect of books on education/class and the depiction of women in art, among other topics. I've read a few non-fiction reads published by Thames and Hudson, some of which I was kindly sent and others I've bought myself; they are all so beautifully published, very high quality and I love the layout, especially the short chapters which definitely helps with non-fiction reads. I loved the photographs throughout this read as it did break up some of the more information heavy sections. Most of the information, besides the areas concerning the reformation, were new to me and I always love the opportunity to learn something new! If you're looking for a gorgeously published non-fiction read then definitely check out Thames and Hudson as they publish so many beautiful books. I particularly recommend The Smile Stealers and Crucial Interventions, the latter I also read this month! I have so many books from Thames and Hudson on my wish list, naturally, but some of the books that have caught my eye include: The Writer's Map and The Occult, Witchcraft and Magic. I'm not going to go too much into this book as I already have a full review in the form of a blog tour post so you can read that post for a more in-depth review. In The Stranger Diaries we follow Clare, an English teacher, as one of her friends and fellow teachers is found murdered. What follows is an exploration of the fictional authors work/life, a hunt for the murderer and more than a few creepy messages in a diary. It's described as gothic which is one of the things that really intrigued me initially and I can see why it is at points but it isn't what I expected when the word 'gothic' was used. However, I found it to be such a fast paced, entertaining and intriguing book with a mystery that kept me turning the pages and guessing until the end! One of my favourite authors, even though I've only read two of his books, is Ray Bradbury. His writing just clicks with me, I love it! I didn't get the chance to read one of this books in October even though it was the perfect month for reading Ray Bradbury so I decided on a whim to read one of his most famous books, Fahrenheit 451. The edition I have is just gorgeous, I love it! Within Fahrenheit 451 we follow Guy Montag who is a fireman but not in the way that we think of his job as he is required to burn books which in this future world are forbidden. After a chance encounter with an unusual neighbour and after a death during his job, he begins to question his life, the history of the world he was told and his job. I adore Ray Bradbury's writing although this is the first non-halloween related read of his that I've read and I do prefer his halloween themed settings and writing more as it's just so atmospheric, eerie and rich. However, I did like the writing style, it was a surprisingly quick and easy read for being a modern classic (it was first published in the 50's) and I did enjoy reading about this future he created, even though it was terrifying. The pace is fairly slow and it's more of a musing on this world and books rather than an action based plot, although it definitely does become more action focused towards the end of the book. The story itself I would rate at 3/5 stars but the writing is 4/5 stars, he has such a way with words, some of which really resonated with me at the end of the book. If you're looking for a futuristic, almost sci-fi read that's easy to follow and very quick then check out Fahrenheit 451. At the end of the month I didn't know what to read and I didn't want to start on my December books so I opted for a couple of very short books, including The Time Machine which is a classic sci-fi book just over 100 pages. I have the incredibly beautiful tiny hardback from Pan Macmillan! This book was first published in 1895 which was quite a while ago; however despite its age, it is fairly quick and easy to follow but it was a little bogged down in places. In 1895 I can see how this book and it's concepts of time travel and visiting future cultures would be very futuristic and unheard of but in the 21st century this idea is very well explored within fiction and media so I have to admit that I found it a little boring....sorry! I did enjoy the writing and story to an extent but it's nothing new although it definitely would have been in 1895! I now know where the 'morlocks' and 'eloi' come from! Overall, would I recommend it? Maybe. I'd only wholeheartedly recommend it if you love early sci-fi classics, if I'm honest. The second very short book and my last for November was a poetry collection by Christina Rossetti, who I believe is the sister of the famous pre-raphaelite painter, Dante Gabriel Rossetti. I have to admit that I'm not the biggest poetry fan, I think that was drained out of me in secondary school but I did enjoy this poetry collection on the whole, especially the first, Goblin Market and A Christmas Carol. 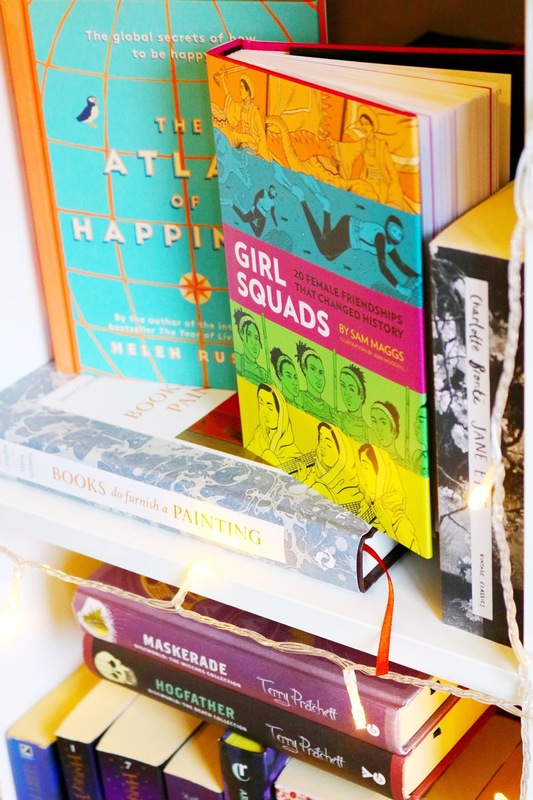 One of my favourite books of the month and maybe the entire year has to be Girl Squads published by Quirk Books which I was very kindly sent. The cover is gorgeous and the hardback cover itself is illustrated too. It's such a beautiful book inside and out with a powerful, important and inspiring collection of real life tales of resistance, feminism and belief in equality. The book is categorised into various sections such as athlete, political, warrior and artist squads, among others, each of which focuses on a group of women who broke boundaries, shattered records, challenged gender stereotypes, stood up against misogyny and fought for a better life for themselves and other women. I'm sad to say that I only knew one or two women from this collection and the others were completely new to me. I don't know why we haven't been taught about these amazing, incredible, powerful and inspirational women before...oh yeah, misogyny and writing women out of history, that's why. I cannot recommend this book enough and it isn't very often at all that I give a book five stars but this one has definitely earned it from the beautiful cover, amazing illustrations, fun but informative writing style, readability and for shining a light on so many truly wonderful women that I've never heard of but should have! For non-fiction November I wanted to read a couple of easier non-fiction reads and this one was a great choice. As with Girl Squads, this read has such a gorgeous cover and it is beautifully illustrated inside and out. With The Atlas Of Happiness, Helen Russel focuses on a range of countries including Spain, Japan, Ireland, Iceland and more looking at their culture, approach to happiness and way of living. I liked the layout, colourful style and design of this book as well as the naked hardback. Some of the information wasn't new to me but much of it was and it was told in an easy, entertaining way. However, the formulaic style for each country did get a little annoying, for example, she seems to have a friend from each country and she interviews each one - that became very repetitive and stale for me. Overall, it's a great book to dip in and out of due to the amount of information. It also made me wish that I was Danish! I would recommend it, if it sounds like something you'd be interested in. Each month I have been reading at least one longer book that's over 500 pages and so far this year I've been reaching that goal every month and for a few of those months, I've read more than one book over 500 pages - November is one of those months. I read the first book in the Cormoran Strike series by J.K Rowling last year and really enjoyed it; I gave the first book five stars but in hindsight I'd give it four. Anyway, I wanted to carry on with the series but I've been put off by the length as they are pretty long. However I was in the mood for a crime, mystery book and I'm glad I picked this one up although for me it wasn't as good as the first. I can't go too much into this one as it's the second book although each book follows a different crime. In my opinion you definitely have to read them in the correct order as you see the characters backstories, the relationship between the main characters and you get to know them with each book. As with the first book, this one has a very interesting, intriguing and dark mystery - this one is much darker than the first and contains very perverse sexual content (it's only small sections throughout the book, not the whole thing) which I wasn't expecting. Overall, I LOVE the character of Cormoran, I liked the easy to follow writing and I throughly enjoyed the dark mystery which left me guessing. I would definitely recommend it as an intriguing crime/private detective story but in my opinion, there are a few negatives such as the length and I couldn't stand the Robin/Matthew relationship as it was just so frustrating. Additionally, it seems a little repetitive at times in terms of Strike's commutes and basic daily actives which added to the length of the book but not much to the story, in my opinion. However, I've already moved onto the third book! The second and final book I read this month from Thames and Hudson was one that I purchased myself as I adore the style of these books - The Smile Stealers I read in 2017 is in the same style. 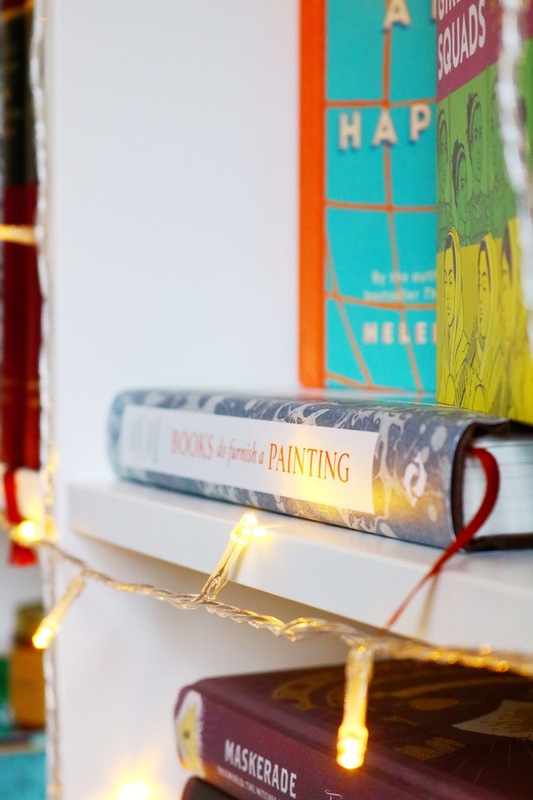 All of these books are beautifully and meticulously designed, gorgeously produced and very high quality so they'd make wonderful, if a little gory, gifts this christmas. I also have This Way Madness Lies which seems to be in this style too so I might read it next month. Within Crucial Interventions we follow the bloody history of surgery from ancient times to modern surgery with a plethora of interesting diagrams, photos and images throughout the book which makes it more of an immersive and quick read. I am extremely interested in various eras and aspects of history (my main regret is being talked into taking chemistry at collage rather than history) so I did know a fair amount of the contents of this book already but it was still an intriguing, disturbing and interesting non-fiction read that I sped through! I cannot recommend this amazing non-fiction read enough, along with The Smile Stealers. If you're looking for beautifully designed non-fiction reads then visit the Thames and Hudson website. One of the most enjoyable and the longest books of last month was A Discovery Of Witches and as I had the second book from Netgalley, I had to read it in November. I can't go into too much detail about this book as it is the second in the trilogy but it carries on directly from the ending of the first book. It has the same instantly engaging and quick writing style which is so easy to read and follow even though it's pretty long. Out of the two, I definitely prefer the first although that's not to say that I didn't like this one (as I did) but the mystery and freshness of the first made it more of an interesting and entertaining read, for me at least. However, they're both such entertaining, easy reading experiences that I would recommend reading, if it sounds like something you'd enjoy. I did love the focus on witchcraft elements, the historic settings and the historical figures throughout this second book. I loved the character of Gallowglass, I enjoyed the historical journey, the magic/alchemy and the ending was just what I wanted! I don't think I'll read the third and final book as I'm liking the TV show, although there are quite a few definite differences. One of the main differences is the time frame of the TV show (it seems much more condensed and rushed compared to the book) and the portrayal of Matthew which in the book is very controlling (it's one of the main things I didn't like about the books) but that is glossed over in the TV show as I think they knew that it wouldn't go down very well. Last month there were so many readathons that I took part in but one that I didn't complete was Victober which involved reading victorian literature in the month of October. One book met all five of the challenges and that was Jane Eyre. I've watched the movie but that was many years ago so I only remember the general plot therefore I thought I'd read the book. Sadly, I couldn't get into the physical book so opted for the audiobook version. The story of Jane Eyre begins with her awful and abusive childhood at the hands of her cousins and aunt but thankfully she's enlisted in a boarding school in which she is trained well enough to obtain a job as a governess to a lively child at Thornfield Hall, the home of the mysterious Mr Rochester. The audiobook was very easy to understand despite being a classic; however the only thing I didn't like about the audiobook was the narrator using the same tone and voice for each person. I liked the story on the whole, I also liked the setting and the characters generally, particularly Jane Eyre although I really didn't understand Jane's infatuation with such an awful, impetuous and far older man - it made the story seem very unbelievable but maybe it was normal for the time in which it was written. Overall, I'd give the audiobook a 2/5 and the book itself almost four stars. After listening to and enjoying Jane Eyre, I wanted to listen to another of Charlotte Brontes novels as Jane Eyre was not only engaging and enjoyable but it was also very vivid and easy to listen to. In Villette we follow Lucy Snow as she moves from job to job and eventually moves to a boarding school in the town of Villette in France where she develops feelings for a doctor who visits the school. Sadly I didn't like this novel as much as I liked Jane Eyre, partly because there were numerous sentences throughout the entire audiobook that were in French as the book is set mostly in France...and I don't understand French so I had no idea what was being said. Also, for me, it was very slow paced, there wasn't too much of a plot and we just drifted along with Lucy Snow as she lives her life, which is fine but I definitely prefer novels or audiobooks with a more distinct plot. However, I did enjoy the audiobook, it was composed and narrated far better than the Jane Eyre audiobook I also listened to this month. Have you read any of these books? What have you been currently reading? Ooooh these books sound absolutely amazing! 10 books would be a miracle for me. I haven't read anything in the last 3 months because nothing is gripping me. I am sure you have gotten through so many books this year! I love the house of Girl Squad. I haven't picked up a book in such a long time. Fahrenheit 451 sounds fantastic. The stranger diaries sounds so good!! Really inspirational reading list. I need to add a few to my TBR. My family loves reading (I personally never have time!) so I'll keep some of these titles in mind for gifts!